The American World Beer Cup International Competition is a global competition recognizing excellence in 64 traditional and emerging beer style categories with gold, silver and bronze awards. The judging took place April 25-26 in Milwaukee, Wisconsin. The winners were announced June 19 at a ceremony in New York City. 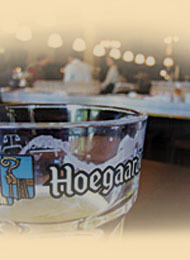 In the category of, Belgian-Style White/Belgian-Style Wheat for the Ale category, Hoegaarden achieved the Silver award only just being beaten by an American beer.